The Vice-Chancellor of Glyndŵr University is to speak candidly before a public audience about the links between Shakespeare, Owain Glyndŵr and the future of his university. A talk by Professor Michael Scott will open the university’s 2011/12 Inaugural and Professorial Lecture Series on Thursday 13 October at 6.15pm. The event, in the Catrin Finch Centre on Glyndŵr University’s Plas Coch campus in Wrexham, will explore the warmth shown by Shakespeare in his plays towards the people of Wales. It will trace the visionary path outlined by Owain Glyndŵr, who is mentioned in Shakepeare’s Henry IV Part One, from a 1406 letter to the King of France about universities in Wales to the creation of Glyndŵr University 600 years later. Event organiser Katie Dutton said: “This year’s professorial lecture series offers the public a unique chance to hear from Glyndŵr University’s Vice-Chancellor sharing his thoughts as chief executive of the university and speaking about his expertise as a Shakespeare scholar. Professor Scott’s lecture is the first of five in the university’s 2011/12 Professorial Lecture series. The events are designed to provide, free of charge, an opportunity for the public to learn more about the university’s research and expertise. Proposals for papers are invited on any aspect of the ways in which literary/poetic/dramatic genres function in the Renaissance. This seminar endeavours to expose some of the ways in which genres are employed, manipulated, or resisted in Renaissance literature, poetry and drama.  How genre interacts with other driving forces in the literary/poetic/dramatic work. Comparative, interdisciplinary, and performance-oriented approaches are welcome. We invite proposals (250 words) for papers addressing these questions, and considering the use or subversions of genre and generic readings in the Renaissance. Please send your proposals or any queries to Anna Mackenzie: a.mackenzie@chester.ac.uk. Conference for PhD and recent PhD researchers from Italian Universities. This is an interdisciplinary conference and the 2012 edition concentrates on the theme Shakespeare, His Contemporaries and the Notion of Conflict. Contributions are welcomed on the idea of conflict in relation to the literary production and life of William Shakespeare (1564-1616) and his contemporaries (playwrights, poets and others). Also welcomed are contributions on the idea of conflict in the historical, political and social context of the times, as long as these are directly related to Shakespeare or a writer contemporary to him. Studies from the perspective of literature, comparative studies, history, art history and theatre history are all welcome. the candidate must send the title and an abstract of the proposed contribution (c. 1,500 words), explaining the content and intended structure of the paper. A bibliography should be attached. Candidates should send their abstracts by email to snovello@britishinstitute.it, or by post to The British Institute of Florence, The Harold Acton Library, Lungarno Guicciardini 9 50125 Firenze, no later than 9 December 2011 (post office stamp accepted as confirming the date). 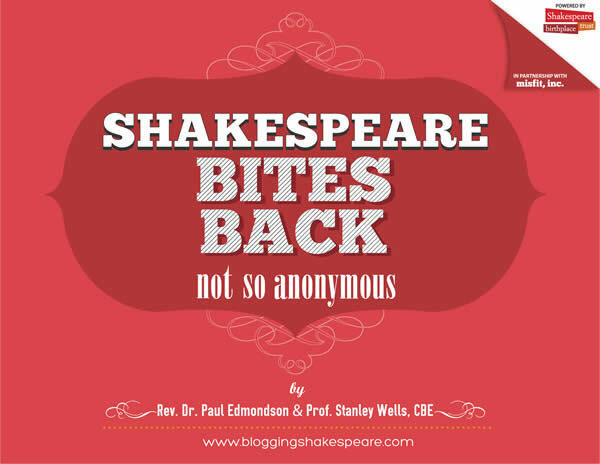 You are currently browsing the Cardiff Shakespeare blog archives for October, 2011.